Founded in 1939 as a pump manufacturer for machine tool coolants, we added parts cleaning equipment in 1944. In 1953 GRAYMILLS started working with the fledgling flexographic industry to create pumps, filters and accessories specifically for converters’ needs. We invite you to browse through this site and learn about the products that have kept us strong. If you have any questions, feel free to contact us by e-mail, phone or fax. We value your input. State-of-the-art manufacturing equipment…laser cutter, fabrication, welding, CNC machine shop. Machine tool coolant pumps and pumping systems, industrial pumps and pumping systems for manufacturing applications, filtering systems and coil stock lubricators. Parts washers/degreasers for industrial, automotive, maintenance manufacturing and service applications. Flexo/Gravure ink pumping/filtering/conditioning systems for converters and press builders. 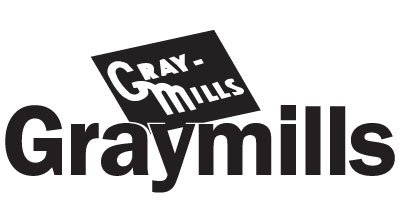 Graymills is committed to your success. That’s why we can customize products and services to suit your particular needs, for both domestic and international use. We specialize in custom sizes and specifications for both pumps and tanks. Small to large quantities are welcomed. Our long experience is why we can customize our products and services to suit your particular needs. Private label capabilities for more personalization.